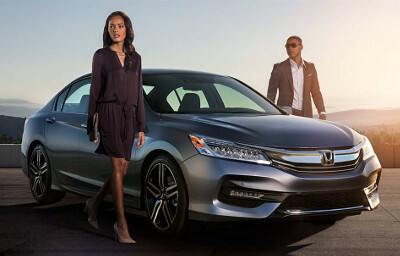 Goshen and Monroe drivers know that the 2016 Honda Accord and the 2016 Honda Civic are two of the most popular sedans in America, the former in the full-size segment and the later in the compact. This leads many to wonder which is best for them — a tricky decision when both models offer so much. Here’s our quick guide to help you choose. 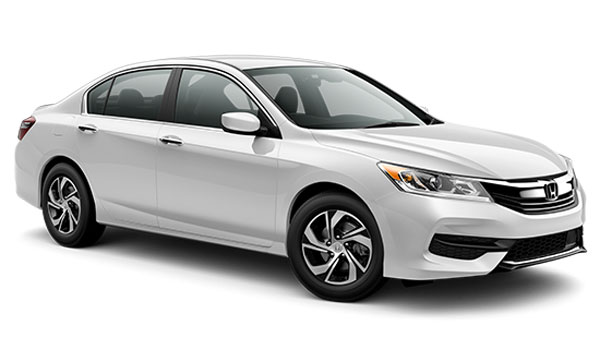 From there, the Accord moves to the Sport model, which offers a slight increase in power and a Continuously Variable Transmission (CVT) with Paddle Shifters. 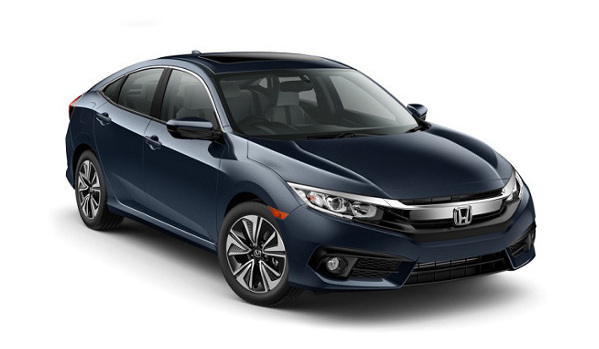 Both models come with an EX model (for features such as Smart Entry, Remote Engine Start, and Honda LaneWatch), an EX-L (for Leather-Trimmed Seats that are heated in the front), and finally the Touring (with Honda Sensing features as standard and an upgraded sound system). Both models also have a high-power model. 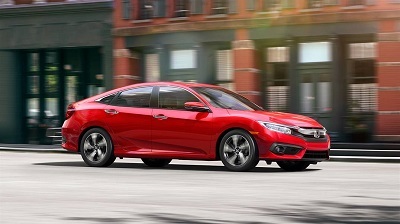 The Civic offers Goshen and Monroe drivers the EX-T, with a 1.5L turbocharged 4-cylinder engine, while the Accord includes V6 power with the EX-L V6. The 2016 Honda Accord possesses slightly more power, although its larger dimensions somewhat necessitate it. Goshen and Monroe drivers can call upon up to 185 hp and 181 lb-ft of torque output from a 2.4L four-cylinder engine in the Accord LX. However, the Accord really pulls ahead with the optional 3.5L V6, providing a staggering 278 hp and 252 lb-ft of torque for a race-inspired ride. The Accord isn’t quite as efficient, earning up to 27 mpg in the city and 37 mpg on the highway* with the base engine and a CVT or 21 mpg city and 34 mpg highway* with the V6 and a 6-speed automatic, but it’s still extremely competitive compared to its competitors. The Accord is larger than the Civic, but the recent Civic redesign has meant that the difference between their interior dimensions is relatively small. Of course, you’ll still find a little more room in the Accord. Passenger Space: 103.2 cubic feet in the 2016 Accord vs. 97.8 in the 2016 Civic. Trunk Space: 15.8 cubic feet in the 2016 Accord vs. 15.1 in the 2016 Civic. Both models are available with a 60/40 split-folding rear seatback, meaning that you can customize the interior to carry more cargo. Additionally, each benefits from high-end materials and an intuitive layout, with available leather upholstery to provide an executive level of comfort. Apple CarPlay®/Android Auto™: This is the latest in automotive connectivity, allowing drivers to sync their smartphones to their vehicles in order to use a growing range of apps on the onboard touchscreen. 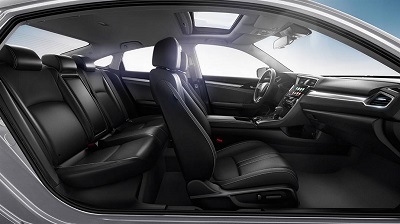 Heated Outboard Rear Seats: Most sedans allow you to add heated seats in the front, but few extend that level of toasty warm comfort to those sitting in the rear. Multi-Angle Rearview Camera: This advanced rearview camera provides three viewing modes of the area behind your car, so maneuvering in tight or crowded environments is easier than ever before. 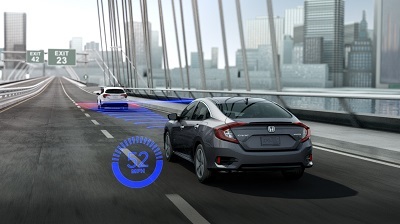 Safety comes as standard with both the 2016 Honda Accord and the 2016 Honda Civic. Each one is built around an ACE (Advanced Compatibility Engineering) body structure that intuitively crumples upon impact to direct harmful collision energy from hitting you and your passengers, and each boasts the highest safety scores. However, it’s worth noting that these features are available with every trim level of the Accord, while you’ll need to upgrade to a higher-end Civic in order to take advantage of them. The Accord offers a little more space than the Civic, plus a lot more power with the available V6 engine, while the Civic is ultra-efficient and still provides the same high standard of technology. There’s no wrong choice — it ultimately comes down to your own needs. If you need any further advice, just come down to Middletown Honda or call us on 855-473-3053. We look forward to putting our Goshen and Monroe customers behind the wheel of either of these advanced technology vehicles.